It's that time of year again! Break out your best sunglasses. Pour yourself a tall glass of iced tea. Find a sunny spot and get reading. I'm proud to announce the 5th annual Summer Reading Challenge. This is a great opportunity to dust off those classic film books you've been collecting and to start absorbing all their wonderful content. 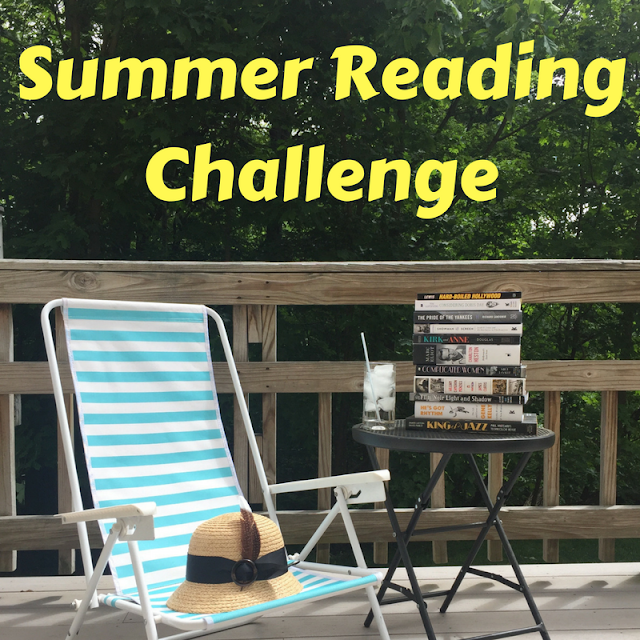 The challenge is to read 6 books over the summer which averages to 2 books a month. If you don't think you can read 6 in that time span I encourage you to sign-up anyways! Those who read 6 will be eligible for the final prize but you can still participate with fewer books. 1 is better than none. Make sure you bookmark the official page of the Summer Reading Challenge. You'll find a link conveniently placed in the top navigation bar for easy reference. I'll have some fun prompts too as the challenge progresses. If you have any fun ideas let me know! Challenge runs from June 1st until September 15th, 2017. Sign-up before July 15th. Biographical book about some from the classic film era. Biography, autobiography, memoir or a collection of interviews or letters all count. Can be about an actor, actress, director or other cast or crew member. A photography or art book related to classic films, fashion, style or a particular person. Novel fictionalizing a classic film or an actor/actress from old Hollywood. You can read one book in each category, 6 books in one category or mix it up. Read a book you’ve never read before or re-read an old favorite. The book can be brand new or long out-of-print. I'm flexible about what constitutes "classic film" and I'll accept anything up until the 1970s. Beyond that, please check with me before submitting your review. If you can't read all 6 that's okay! Try your best. Every book counts. One single disc DVD-MOD from Warner Archive, film of your chosing. A surprise grab bag of three new classic film books. If you have a blog, feel free to use this button!